As they say in panto land, there’s nothing quite like a Dame. But as the curtains come down on the season of make-believe and blow business now takes centre stage from show business, the sport may have a real one if its own to applaud later this year. 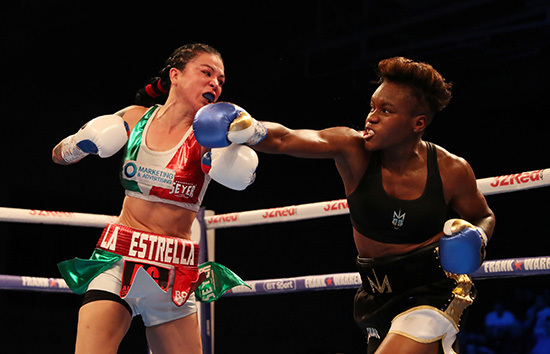 The Whitehall whisper is that two-times Olympic boxing champion Nicola Adams is set to be elevated to a damehood should she win her first professional world title on March 8. The little Leeds warrior would be the perfect recipient for that invite from the Palace; a true champion not only in boxing but of female emancipation in sport – and life- a role model who works hard for charities and is passionate about waving the flag for Britain. The much-missed Sir Henry Cooper was boxing’s one and only knight while two female boxers have been honoured with gongs: the formidable Jane Couch, who once famously flattened a bloke who patted her bum in a Fleetwood bar, received an MBE as one of the game’s female pioneers, and Adams has an OBE for her Olympic exploits. But I believe a damehood now beckons either this year or on her eventual retirement. She would join a clutch of sporting dames, most famously among them athletes Jessica Ennis-Hill, Kelly Holmes and Mary Peters, sailors Naomi James and Ellen MacArthur, golfer Laura Davies, Paralympian Sarah Storey and rower Katherine Grainger, who now chairs UK Sport. There are even a couple of Baronesses, record-breaking Paralympian wheelchair racer Tanni Grey-Thompson and West Ham’s vice-chair, Karren Brady, who both sit in the House of Lords (shouldn’t that now be Lords and Ladies in this PC age?). The late cricketer Rachel Heyhoe-Flint was also made a peer. Double Olympic gold medal winner Adams (London 2012 and Rio 2016) says she wants to win her first professional world title in order to emulate her hero, Muhammad Ali. Adams, 36, will fight the World Boxing Organisation (WBO) flyweight champion Arely Mucino when boxing returns to London’s Royal Albert Hall, following ringwalks of icons such as Sir ‘Enry, Naseem Hamed, Lennox Lewis and Frank Bruno. And, of course, Ali, who boxed three exhibition bouts there in 1971, ’74 and ’79. Friday 8 March happens to be International Women’s Day as well, as Adams has been quick to point out. 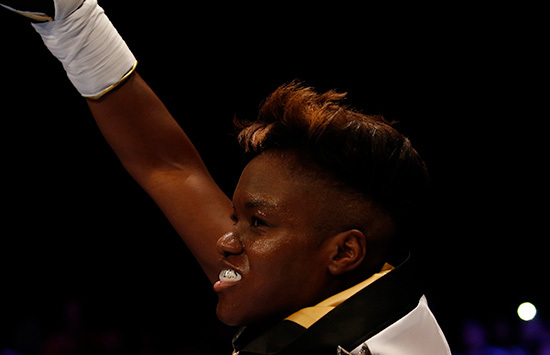 The fight marks Adams’ sixth as a professional and she says winning would be “up there” with her two Olympic titles. “This is the reason I’ve turned professional,” she said. Adams had her first peek inside the Royal Albert Hall’s ornate arena this week and said ther grandeur took her breath away. “What a fabulous setting for boxing. You can really sense the history. “To think Ali has boxed in the same arena I’m boxing in is unbelievable for me. To come away with a world title and call yourself a world champion is every boxer’s dream. I can’t wait to get in there to be able to perform and prove to people I belong at world level. “It’s unreal. I’m thinking about the noise, the crowd. If I can I’ll be going for the knockout – I want to make a big statement. I can’t wait to get out there and get going. In 2012, Adams became the first female ever to win an Olympic gold medal and in Rio was the first to successfully defend one. She adds: “But for the Olympics opening up for us it would have taken many more years for women’s boxing to make a real break-through. “If it hadn’t happened then it probably would have been too late for me. I’ve been lucky with the timing. Before 2012 a lot of the public didn’t even know women boxed. The Royal Albert Hall first staged competitive boxing in 1918 and bill-topper Adams’ contest will be the first world-title bout at the venue since Mexico’s Marco Antonio Barrera defeated Britain’s Paul Lloyd in 1999. Barrera’s compatriot, Mucino, 29, is an equally tough cookie. She claimed her world title in February and has a record of 27 wins, two draws and three defeats throughout 10 years as a professional. “Mucino’s a come-forward fighter with a typical Mexican style, who’ll take five to land one,” says Adams. Cinderella will be the pantomime at the Royal Albert Hall this year but boxing’s putative Dame is clearly convinced she will upstage it and make history again as the nation’s first female world champion. Oh yes she is! Nicola shares a cracking bill which also features heavyweight prospect Daniel Dubois (9-0) ag against the tough California based Romanian Razvan Cojanu. Liam Williams putting his newly won British Middleweight Title on the line against Brentwood bruiser Joe Mullender. Archie Sharp defending his WBO European Super Featherweight title and 14-0 unbeaten record against 11-0 Lucas Ballingall. Johnny Garton will also be in action defending his British Welterweight Title. Dozens of tributes have been made to the late Hugh McIvanney, including my own in Boxing News this week. Britain’s greatest sports journalist of his – or arguably any – generation who passed away last week just short of his 85th birthday wrote beautifully, elegantly and with much envied insight into on a plethora of sports from football to racing but none more so than boxing. He has been rightly described as “The Muhammad Ali of sportswriting.” . With distinguished colleagues such as Colin Hart, Ken Jones and Jim Lawton I was privileged to travel the world with Hughie, covering big fights from Atlanta to Zaire, and numerous Olympic Games and World Cups. It was a joy, and always an education to be in his company, despite the perpetual fog of Cuban cigar smoke and combative argument. obsession with detail and accuracy. The ultimate perfectionist, he had only one deficiency: Deadlines. I was once on the receiving end of a tirade in the early hours of a Sunday morning after he had picked up a copy of The Observer bearing one of his big fight reports, which as usual we had just squeezed into the last edition as he relentlessly beavered away, labouring over every syllable.